Does your laptop have a backlit keyboard? About a decade or so ago, only high-end, premium laptops offered keyboards with autonomous lighting, and not many audiences sought this feature when they went shopping. But as of 2019, laptops with backlit keyboards have occupied a prominent spot in the marketplace, winning people over with the sheer convenience of operation that they offer. No longer do you need to depend on ambient lighting—natural or artificial—to get the task at hand done; you can type away to glory even in pitch darkness. The present laptop market offers a sizeable selection of computers with light-up keyboards. Many of them come with additional features such as ergonomic keyboard design, adjustable controls, and innovatively constructed keys to boost typing comfort. How do these features affect the core functionality of a laptop, if at all? What about budgetary concerns? In this in-depth review, we analyze this illuminated world to help you arrive at the perfect choice to suit your lifestyle. When laptops with backlit keyboards were initially launched in the marketplace, they were viewed as glamorous and attractive but, well, rather unnecessary. Who needed all that fancy lighting on a keyboard when you could simply turn on all the lights in the office? But times have now changed, and computers with backlit keyboards are less an accessory, more a necessity. Workplaces have shifted from stationary desks to people operating out of homes, public transport, and tents pitched up in the wilderness. Owning a computer with a keyboard that lets you clearly see all the keys even in dim natural light can be the difference between being a go-getter and someone who can function only by day. Many backlit keyboards now offer the options of adjusting the brightness and choosing your color scheme—a handy provision to add a dash of customization to your machine. You are a gamer: Gaming enthusiasts CANNOT do without a backlit keyboard, preferably with RGB lighting. Not only does it add razzmatazz to the proceedings but it is also a must-have for competitive gaming sessions where seeing your controls can mean all the difference between triumph and loss. You are a coder: Computer geeks tend to work at all times of the day and night, particularly if their job demands complicated nuggets of code within atrocious deadlines. Hitting the right key matters tremendously and can protect you from pesky software bugs. You are a creative professional: We are talking about writers, artists, architects, designers, and anyone who loves to create. A backlit keyboard is important to let you work uninhibited when creativity strikes, never mind the ambient lighting or lack thereof. Adjustable lighting: A constant backlight that you cannot adjust may suit some but jar others. Consider if you need a laptop that lets you adjust the brightness manually or automatically does it for you based on the ambient light. Of course, some high-end gaming laptops let you completely own the keyboard and control every aspect (color and light per key). But you may not need to splurge on this feature unless you are a gamer. Keyboard design: Laptops with backlit keyboards typically commit to ergonomics as well, offering keyboards with a comfortable key travel distance and layout. You can choose between an island-style keyboard (more space around the keys) and a conventional, tightly packed arrangement. Likewise, take time out to consider if you’re more comfortable with a low key-travel distance (1.5 to 2mm) or prefer more vertical distance (as you’ll find in many gaming laptops). Ultimately, this remains a personal preference, but some users find it can impact their typing speeds and overall ease of use. Potential backlighting problems: Some laptops suffer from backlight bleeding—a problem that occurs when the keyboard hasn’t been designed properly. You should check to ascertain that the backlight illuminates each key distinctly. 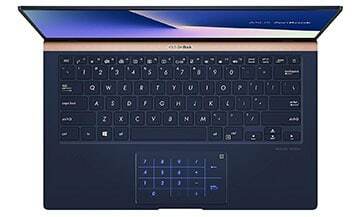 The 14” ASUS ZenBook 14 is the first laptop on our list—an innovatively constructed device with an ergonomic backlit keyboard. A hinge lets you tilt the keyboard into a typing position that suits you (up to 145-degrees). This is indeed a design win, for it also boosts the cooling and auditory support of the machine. 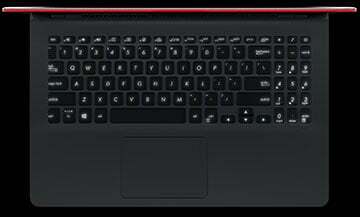 But the highlight of the keyboard is certainly the dual-function touchpad that comes inbuilt with a number pad. This is particularly useful for data entry and any endeavors that involve number crunching. A glass covering protects the touchpad while also providing extra precision and multitouch gesture support. Note that the key travel distance is 1.4mm. This ZenBook is powerful in every sense of the word, fueled by an Intel i7 CPU, 16GB RAM, 512GB of Solid-State Drive, and Intel UHD Graphics 620. The nano-edge bezel and screen-to-body-ratio of 92% make the display captivating for various multimedia endeavors. Designed to be a competent partner for both students and working professionals, this ZenBook is extremely portable and sturdy. Built as per military standard guidelines (MIL-STD-810G), this laptop weighs only 2.6lbs and measures 0.6” in thickness. This makes it easy to lug along with you and get to work from anywhere. Since the laptop is equipped with a USB Type C port, 802.11ac Wi-Fi, Bluetooth 5.0, a Micro SD card reader, and an HDMI, you can easily collaborate with peers and colleagues. The battery, very reassuringly, lasts for almost 14 hours. The ASUS ZenBook 14 can be a high-performing companion fitted to everyday needs. Its superior processing prowess, display outlook, and portable build make it a good choice for those seeking more demanding pursuits too, including multimedia editing, streaming, and coding. If you are scouting for an incredibly unique backlit keyboard that not only illuminates itself but also, intuitively, reads your mind, you should check out the Apple MacBook Pro (Latest Model). With this, you will get a quiet and precise keyboard built according to the butterfly mechanism for additional typing comfort. The keyboard comes with a Touch Bar (in place of the function keys) which auto-updates itself depending on how you use your computer. In here you get controls for volume, brightness, emojis, predictive text, you name it. You can also move through your daily tasks with natural movements like taps, slides and flicks, thereby speeding up your life. The latest MacBook Pro is a winner in processing with an Intel Core i7 processor, 32GB RAM, up to 4TB of storage, and 10-hour battery life. An Apple T2 chip adds a highly dependable layer of security with secure booting and encrypted storage. All this comes in an amazingly mobile package that weighs only 3lbs and measures 14.9mm (0.58”) for the 13-inch model. The 15-inch model weighs 4lbs and has a profile measuring 15.5mm (0.61”). Apple has always associated itself with stellar A/V experiences, and this time is no different. You can look forward to a beautiful Retina display (with True Tone), Radeon Pro 555X/560X graphics, 500 nits brightness, and high-fidelity audio. The color gamut offers 25% more colors than sRGB which expands your visual horizons. It is also possible to connect to external displays (up to two 5K) with USB-C ports (four). If you have the budget, this can be an excellent backlit keyboard laptop to reap the rewards in productivity, flexibility and awesomeness. The newest Dell XPS 13 9380 laptop is an affordably priced buy, offering a full-purpose keyboard with backlighting and a low key-travel distance for a smooth typing experience. The touchpad is highly precise and comes with a glass integrated button. This 13” laptop stands out for its portability (2.7lbs, 0.3–0.46”), superior multimedia experiences via Dell Cinema, and uniquely placed HD webcam at the top of the display. 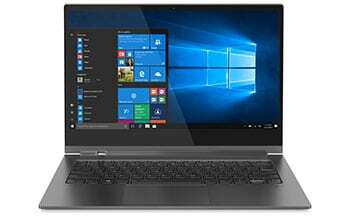 Fueled by an Intel i7 CPU, 16GB RAM, 512GB of storage, and 21-hour battery life, it is a competent laptop for all everyday purposes. So, what’s special about the XPS webcam? Well, it employs a 4-element lens to enhance the sharpness of the imagery. It also offers noise reduction and improved video quality in low lighting. It is a good tip-off to the elegant display that you can experience in here–a 100% sRGB color gamut, a contrast ratio of 1500:1, 400 nits brightness, and an IPS panel for wide-angle viewing. The screen-to-body ratio is 80.7%. Note that you can also opt for the 4K Ultra HD resolution if you truly want to stretch the limits of excellence. A notable triumph of this Dell laptop is its efficient cooling system that further enhances its mobility and flexibility. It uses GORE Thermal Insulation to keep things cool—the first laptop to offer this advanced cooling mechanism that drastically lowers thermal conductivity levels. What’s even more remarkable is that everything about the build contributes to the overall functioning—from the eco-friendly construction material to the Corning Gorilla Glass for damage protection. You cannot go wrong with Dell if you need a laptop you can fall back on (and type away to glory irrespective of the surrounding light). One of the best laptops with backlit keyboard, the latest ASUS ZenBook S13 UX392FN laptop is quite awe-inspiring. It is equipped with a full-duty backlit keyboard that understands multiple gestures, knows what gestures to reject, offers an ergonomic hinge design for comfort, and has a convenient key-travel distance of 1.4mm. The touchpad is fitted with an inbuilt fingerprint reader that adds a reassuring level of security, allowing you to log in with only your touch. A slim-bezel (2.5mm or 0.09”) laptop powered by an Intel i7 CPU, 16GB RAM, 1TB of SSD storage, and NVIDIA MX150 graphics, this computer is not only an all-rounder performer but also a style statement. The spun-metal finish and the “utopia blue” color set it apart from the crowd. This ZenBook, built as per military standards (MIL-STD 810G), sets several trends in the display department. It features the world’s slimmest bezel as of the present day, managing to achieve a screen-to-body ratio of 97%. Even so, this 13.9” laptop is almost 12.5% smaller than earlier models, weighing only 1.1kg (2.42lbs) and measuring 12.9mm (0.50”). This makes it incredibly portable and a breeze to lug along even in the chaos of public transport. While on the run, you can type smoothly, thanks to the ergo-lift hinge that elevates the keyboard to a position you find comfortable. Moreover, the hinge design also boosts the cooling mechanism and the auditory support (Harman Kardon). The battery life of this ZenBook lasts for about 15 hours. It supports fast-charging which lets you power up to 60% in only 49 minutes. ASUS is likely to announce the price range of its newest launch soon. Depending on your budget, you can consider picking up this ASUS laptop with backlit keyboard if you want a machine high on performance and élan, easily rising to both work and play. Are you on a shoestring budget? 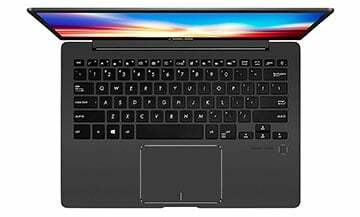 It is possible to get a sturdy, dependable backlit keyboard laptop at a bargain—for instance, the ASUS VivoBook S15 S530UA-DB51. A 15.6” computer driven by an Intel i5 processor, 8GB RAM, and 256GB of SSD storage, this VivoBook does its job of an everyday computing companion with zero complaints. The keyboard it offers is easy to use—equipped with an ergonomic hinge, a fingerprint sensor, a key-travel distance of 1.4mm, and, of course, backlighting. What stands out is the woven textured finish surrounding the keyboard (with the “firmament green” chassis)—it is a unique take on style and comfort. The display isn’t bad either; you get an FHD screen with NanoEdge bezel for immersive imagery. When we say immersive, we mean it—you get a screen-to-body ratio of 86% and a wide-view angle of 178-degrees. Available in several vibrant colors (green, grey, blue, gunmetal), this laptop is contemporary and powerful without being an investment you will need to break the bank for. The colors, might we say, are really eye-catching, making this purchase ideal even for students and young professionals who seek a lifestyle partner they would love to flaunt. Build-wise, this laptop is fairly light and mobile. It weighs 3.5lbs and has a profile that measures 0.7”. Equipped with ample USB ports and 802.11ac Wi-Fi, it is straightforward to use this computer on the go. At its super-attractive price range, this VivoBook is genuinely one of a kind. If you were feeling let down because backlit keyboards seem to abound only in premium, expensive laptops, here is your redemption. There is something about an Apple keyboard, isn’t there? 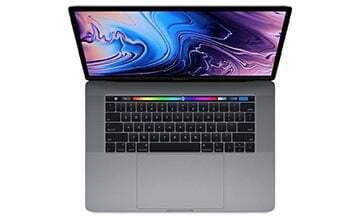 If you were intrigued by the keyboard of the Apple MacBook Pro (#2), but the purchase exceeds your budget, then the Apple MacBook Air (Latest Model) can be a satisfying second option. Equipped with a completely redesigned keyboard that uses the butterfly mechanism for stable and comfortable typing, this laptop lets you experience the joys of innovation at a much lower price. Not only is the keyboard backlit, but it also has an ambient light sensor that adapts to your environment. A Touch ID is included for secure access. 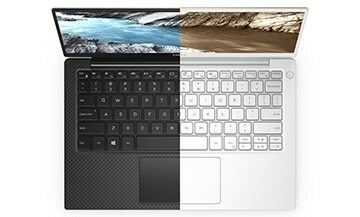 Especially convenient is the new touchpad that has been designed to have 20% more room for multi-touch gestures. This design win adds to the precision and sense of control you feel while using the keyboard. On every other front too, this laptop is commendable—from its Intel Core i5 CPU and 16GB RAM to 1.5TB of SSD storage and improved audio support. Apple has never compromised on display, and the MacBook Air offers 13.3 inches of dazzle with a Retina display, 48% more colors than in older generations, and brilliant text clarity. Since this laptop has a weight of 2.75lbs and a profile of 15.6mm (0.61”), it is straightforward to carry this splendor with you without feeling bogged down. The battery life is also above par at 12 hours, and you get Thunderbolt ports for multi-purpose utilities such as charging and connecting to external displays. This laptop, carefully built with 100% recycled aluminum, can be the MacBook you finally get home not only to cherish the gorgeous keyboard but also to experience everything you have always associated with this product line. Putting to dust the notion that budget laptops do not have backlit keyboards is the HP Spectre x360 laptop—a sub-$1000 computer with a full-purpose, comfortable keyboard. You can purchase the Spectre in several color options including pale rose gold and natural silver, thereby adding personalization to the monotony of everyday life. Powered by an Intel i5 CPU, 8GB RAM, 256GB SSD, and Intel UHD Graphics 620, this laptop is a terrific choice for day-to-day purposes. 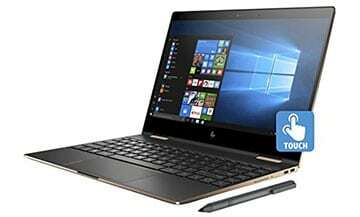 It blends the dependability of HP with the portability that comes with contemporary design. This computer weighs only 2.78lbs and measures 0.53” in thickness. A major victory of this HP launch is its long-lasting battery; on a single charge, you can function unplugged for 16 hours and 45 minutes. When you do exhaust the juice, you can power up the battery quickly with HP Fast Charge (up to 50% in 30 minutes). Now that is genuinely an incredible provision for mobile professionals. The HP Spectre believes in true comfort of use, offering four modes depending on your needs. Say, when you need to make a presentation to colleagues, you can switch to the tent mode. The stand mode, on the other hand, works great for viewing multimedia content after a hard day at work. The laptop and tablet modes, of course, gear you up for regular struggles. On the display front, HP offers an FHD screen with micro-edge design and Corning Gorilla Glass protection. The display supports a stylus (included), so you can take notes or doodle as you like. It is a smart way to complement the full-purpose keyboard and works just as smoothly. Look no further if you need a computing partner for daily life that doesn’t cost you too much but goes all out to please. When it comes to delivering more for less, ASUS VivoBooks have a way of winning every time. The ASUS VivoBook S S410UN-NS74 is a 14” ASUS laptop with backlit keyboard that also has an inbuilt fingerprint sensor. The chiclet keyboard is simple to use and adds security to this highly portable, lightweight (3.2lbs) laptop. As for performance, you tend to expect nothing but the best from VivoBooks. Here, you are talking an Intel i7 CPU that lets you fire away at both everyday tasks and more complex endeavors. The RAM support is 8GB while the memory offered is 256GB (SSD). This, while on the lower side, should be ample for most day-to-day tasks like working on documents and decks, browsing the internet, and even streaming A/V content. A major upside of this pick is its support for NVIDIA GeForce MX150 graphics with 2GB of dedicated memory. When rendered on the FHD display with an ultra-thin bezel, you get a captivating image, every time. The sound system complements the display well, with ASUS Sonic Master producing pure, distortion-free sound. This is a winsome feature to find in a mobile laptop designed to be both affordable and ready for the road. Note that the profile measures 0.7”, which means you can slide the laptop into backpacks without any hassle. Another useful feature of this VivoBook is its accidental damage protection. This includes a 30-days “Zero Bright Dot Guarantee” that protects your machine from everything, right from drops and electrical fluctuations to spills. So, if you have particularly buttery fingers, this could be THE machine for you. Are portability and flexibility of use high on your priority list? If so, the ASUS ZenBook 13 UX331FN-DH51T​ laptop can be a fabulous choice. This machine weighs barely 2.7lbs and has a thickness of 0.5”. This ultra-slim profile makes it perfect for travel; this computer can also accompany you undeterred as you rush along your day. Powered by an Intel Core i5 processor with 8GB RAM and 256GB SSD, it caters quite well to day-to-day tasks, offering dependability without drilling a sizeable hole in your pocket. The backlighting on the keyboard is satisfactory; you can easily work in low lighting conditions without straining your eyes. For a while now, it has been ASUS’s goal to produce lightweight computers that understand the contemporary lifestyle. The mobility, however, does not come at the cost of either display or performance. In this laptop too, the display is vivid and pleasant—a full High-Definition screen, NanoEdge bezel, and NVIDIA GeForce MX150 graphics with 2GB of dedicated memory. This ensures that all your multimedia content displays with terrific clarity and detail, even when you are functioning on the go. The bezel, especially, is stellar; it has a thickness of only 0.27” which helps achieve a screen-to-body ratio of 80%. Note that the sound support fantastically complements the display. You get Harman Kardon-Certified audio that delivers high-volume, low-distortion sound. What about the battery backup? It lasts for a good 14 hours which should be adequate for most of your day. The fast charge feature lets you power up quickly—up to 60% in only 49 minutes. 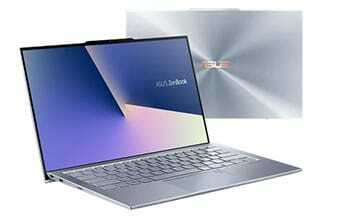 This adds to the autonomy of this ZenBook and its fitment to multiple purposes including work, play, and travel. In the race for manufacturing high-performing laptops with backlit keyboards, Lenovo isn’t far behind. The Lenovo Yoga C930 2-in-1 laptop is an innovative product that comes with an Intel i7 CPU, up to 16GB RAM, Intel UHD Graphics 620, up to 2TB of storage, a stylish garaged digital pen, and yes, a backlit keyboard. A fingerprint sensor is included to let you log in without the anxiety of typing in a long password (which can be a pain when you are trying to work from a rickety bus). This laptop has a superior “Sound Bar” with a Dolby Atmos Speaker System that ensures you get incredible audio in every mode of operation (laptop, tablet, tent or stand). In fact, this is among the world’s first laptop to fit the speakers into this kind of a rotating sound bar, via a convertible hinge. Big bonus for audio enthusiasts! Apart from the sound, the display is also exemplary. Dolby Vision offers up to 4K resolution, while the thin bezel design (4.95mm or 0.19”) ensures more viewing area for your content. The exterior is also great-looking, with a premium aluminum chassis, smooth polishing, and modern color options like iron grey and mica. Accessibility-wise, Lenovo has achieved several mini triumphs with the Yoga series. Of particular note is the pen that is fitted into the chassis, charging from its snug location, and offering immense precision (4,096 pressure points) during use. Another handy, intuitive feature is the privacy shutter on the webcam that lets you feel at peace after that dratted conference call, finally freeing your mind of the dread that someone might have seen you idling on the couch. The final laptop on our list is the Microsoft Surface laptop 2—an amalgam of elegance, luxury, brilliant colors, and high performance. The keyboard and palm rest are done up in a graceful Alcantara material that lends style and comfort to the device in equal parts. 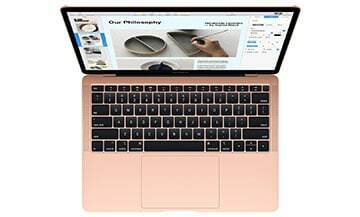 After you are done admiring the gorgeous machine with its luxurious backlit keyboard in colors like platinum, burgundy and cobalt blue, you can find a lot to marvel about the 14.5-hour battery backup, PixelSense display, and omnisonic speakers.​ This computer is fueled by a mighty Intel Core i7 processor, 8GB RAM, and Intel UHD Graphics 620. This Surface is designed to be mobile and has plentiful features to fulfill its mission. You get a lightweight build of 2.76lbs, a sharp image resolution to let you seamlessly work even when on the move, and Cortana to cater to your daily tasks based on voice commands. These features ensure that your machine doesn’t only grab eyeballs but also performs all the computing responsibilities you entrust it with. This one is a worthy pick if you are looking for something that marries glamour with grit. We bet all those backlit keyboards and the fantastic laptops they are housed in fired up your thoughts and imagination. Have you arrived at a decision yet? 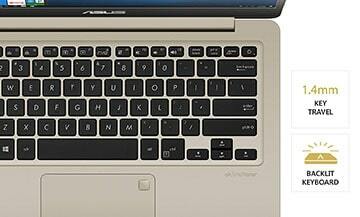 Backlit keyboards are now available in machines spanning budgets, configurations, and features, so it has become easier to find one that fits you to a T.
If you are counting pennies, consider the cheap but efficient ASUS VivoBook S15 S530UA-DB51 (#5) or the ASUS VivoBook S S410UN-NS74 (#8). For long, uber-reliable battery life, the Dell XPS 13 9380 (#3) and the HP Spectre x360 (#7) are your best bets. 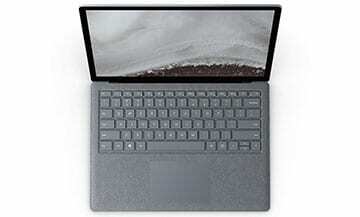 And then again, if you are eager to go all out on a cocktail of style, razzmatazz and performance, check out the latest Apple MacBook Pro (#2), the newest Apple MacBook Air (#6) or the Microsoft Surface laptop 2 (#11). A laptop with a backlit keyboard can unburden you from the need to hunt for a light source and thereby become your partner for efficient, comfortable work, wherever you go. The market now abounds in choices, so go ahead and take your pick.